So you want to teach pop music. But how do you choose what song to teach? And more importantly, how do you teach it? Today we are going to find out exactly how to choose the right way to teach a pop song. Will you teach it by ear, from notation or from a chord chart? Read to the bottom to grab a brand new download, which is sure to put you in the right direction when teaching pop music. You can also sign up to next week’s free online webinar with myself all about teaching pop music. Firstly, let’s quickly go over some of the benefits of teaching pop music – if you’ve been a follower of my work for some time now, you will be familiar with this spiel! Pop music quite often isn’t that hard to teach or learn, but a lot of teachers are hesitant to adopt this style of teaching. Trust me, widening your teaching skills to include pop music, alongside more traditional styles of music, will have so many benefits for your students. There are myriad pedagogical benefits of working with students on pop music including keeping things relevant, helping teach theory, harmony, chords, musical structure and rhythm in an engaging way and keeping students highly motivated. However, when you first get into teaching pop music, it can be hard to know where to start. I’ve written about my Top 10 Pop Songs for piano students, and today I will share with you a new download I like to call my Pop Teaching Algorithm, showing you how to choose what pop songs you should be teaching. There’s so many different ways to teach a pop song. Do you follow the notation? Do you use a chord chart? There can be benefits in teaching a piece of pop music in different ways, to give your students a range of skills. To make it easier for you to choose the best method of teaching a pop song, I have created my Pop Teaching Algorithm. 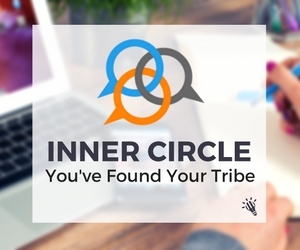 Grab your free download at the bottom of this article. 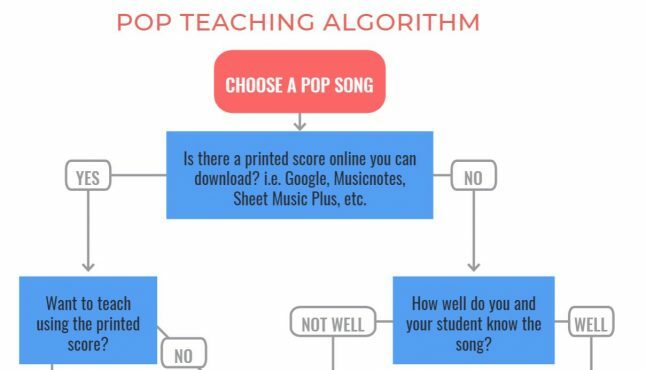 My Pop Teaching Algorithm is a flow chart to help you pick the right piece of music and the right teaching method. Do you have a printed online score you can download? Do you want to teach off the score? Is there a chord chart? Can you teach it aurally? Would your student like to solo or sing? From these questions, my Pop Teaching Algorithm will provide you with one of the following options. If you want some help teaching students how to play pop with no music, check out this video. You can subscribe to my YouTube channel to keep up to date with more videos such as this, as well as teaching videos and quick wins too. 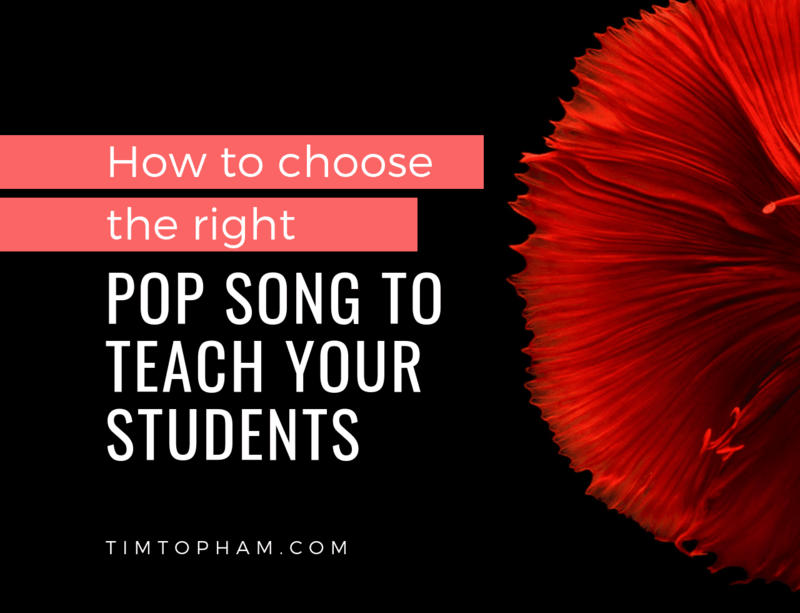 As promised, here is your link to today’s free download, my Pop Teaching Algorithm to help you choose the right pop song and teaching method to teach your students. If you’re looking for some free sheet music and chord charts, be sure to check out my Top 10 Pop Songs as well. I’m holding a free online seminar next week called From Beatles to Beethoven: How to Hook Kids with Pop. If you need more help teaching pop music, this is for you. FREE BONUS DOWNLOADS: including a handy pop teaching flowchart, a tutorial on how to create your own backing tracks and tips on teaching the YouTube generation! Where do you go to choose pop songs to teach your students? What’s your favourite pop song you’re teaching at the moment? How do you teach pop music to your students?